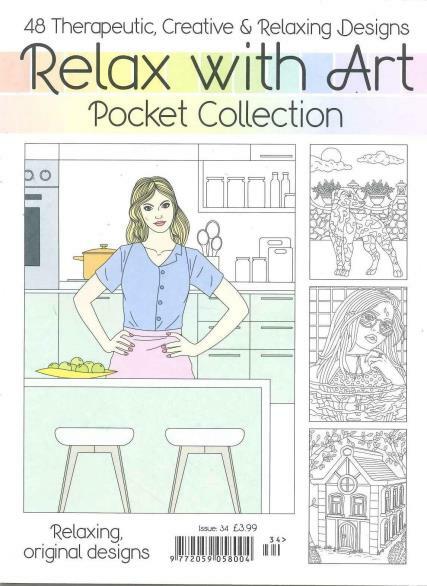 The art therapy craze continues with this bi-monthly pocket sized colouring title! Gonna buy it again and again and again. Already looking forward to the next relax with art. Very pretty and varied pictures as always. Love this little book. It's great if you only have time for a small picture or if you're on the move.